In a recent livestream, Hearthstone began revealing cards that are on the way in the next expansion for the card game – Rise of Shadows. Twelve new cards were revealed, which can be seen in the embedded stream below. This includes two Legendary villains – Blastmaster Boom and Heistbaron Togwaggle, as well as the Legendary Defender of Dalaran, Khadgar. We have the information for those three cards below. 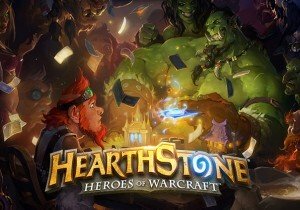 A schedule was also revealed in the link below for when more card reveals can be seen. Blastmaster Boom – The Warrior Legendary minion and explosive mad scientist: Dr. Boom unleashed his experiments on players in The Boomsday Project with painfully explosive results. Since then, the mad genius has been recovering, tinkering away in Boom Labs, and plotting his next move. When played, Blastmaster Boom summons two Boom Bots for each bomb in your opponent’s deck. Heistbaron Togwaggle – The Rogue Legendary minion and be-candled King of the Kobolds: The loot-hoarding head rat seeks to refill his coffers after they were pilfered by players in Kobolds and Catacombs. Bolstered by his henchmen, this Kobold King discovers a fantastic treasure when played if you control a Lackey. Khadgar – The Mage Legendary minion and Defender of Dalaran: Heralded as one of the most powerful mages in Warcraft history, Khadgar is ready to rally an army against Arch-Villain Rafaam’s band of baddies. As a two-cost legendary minion, Khadgar causes your cards that summon minions to summon twice as many.